Newly inaugurated Maine Gov. Janet Mills said Thursday her administration is creating a new Office of Innovation and the Future to lead the state efforts in several major policy areas, including broadband expansion, climate and energy and government workforce development. The new agency, which will be formally created in the budget Mills is due to propose next month, will also replace the existing Office of Policy Management. 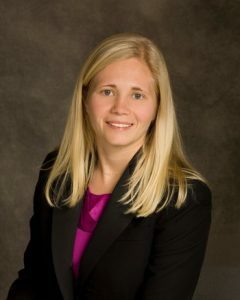 Mills also announced her selection of Hannah Pingree, a former speaker of the Maine House of Representatives, to lead the new agency. Mills, a Democrat who was sworn in Jan. 3, mentioned her plans to create the office during her inaugural address. “This office will dive into major policy challenges, foster collaboration and propose concrete, workable solutions,” she said during the speech. During a press conference in Augusta, the governor elaborated on its creation, saying she took inspiration from the late novelist Kurt Vonnegut, who suggested in a 2005 interview that governments should have executives in charge of forward-looking policy. “It’s one thing that no cabinet had ever had, is a secretary of the future,” Vonnegut, who died in 2007, said. “The time has come to begin investing in our future and that begins with planning and welcoming all kinds of innovation,” Mills said Thursday, the Portland Press-Herald reported. Pingree will start with a the Office of Policy Management’s existing five-person staff, she said at the press conference, though that number is expected to grow once the Office of Innovation and the Future becomes operational. Eventually, Pingree and Mills said, the new office will pick up the role played by the now-defunct State Planning Office, which was dismantled by Mills’ Republican predecessor, Paul LePage. Left unclear, though, is how Pingree’s new agency will interact with the state Office of Information Technology, which has been without a full-time leader since last September, when then-Chief Information Officer Jim Smith resigned. The office has been led on an acting basis since then by deputy CIO Ande Smith. (In a collision of Maine politics, Ande Smith ran a 2016 campaign for the U.S. House seat occupied by Hannah Pingree’s mother, Rep. Chellie Pingree, losing the Republican primary by 57 votes.) Mills’ office did not respond to a question about if or when she plans to appoint a new CIO. Mills also said Thursday that Maine will resume its membership in the National Governors Association and the New England Council, an organization that represents the six-state region’s interests in Washington. Maine quit both groups during LePage’s time in office.